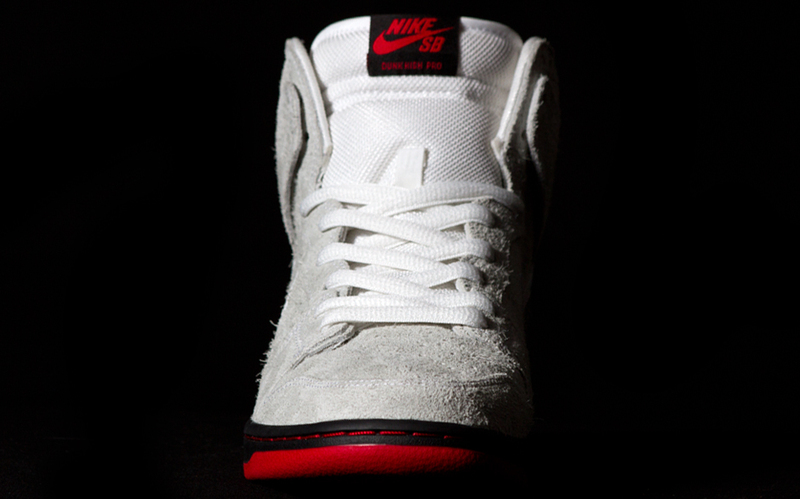 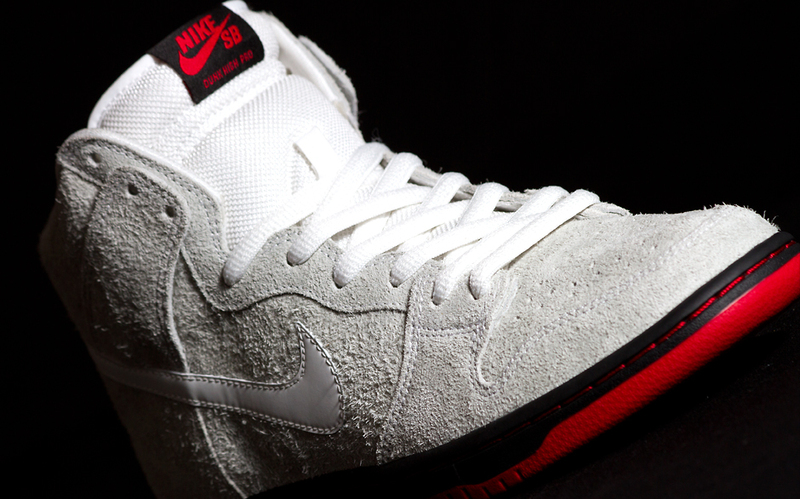 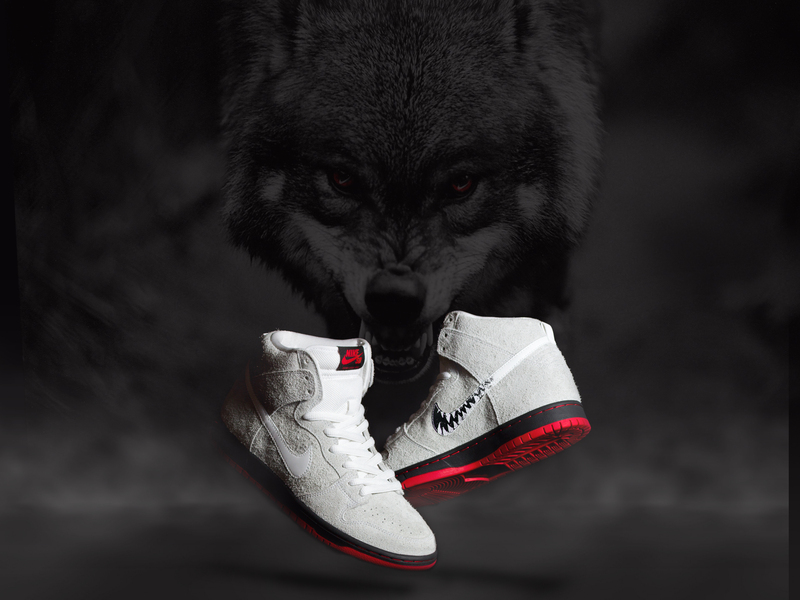 Taking inspiration from the idiom “A wolf in sheep’s clothing,” the shoes feature a “Summit White” upper in a premium, “vintage” textured suede providing a subtle reference to sheep’s wool. 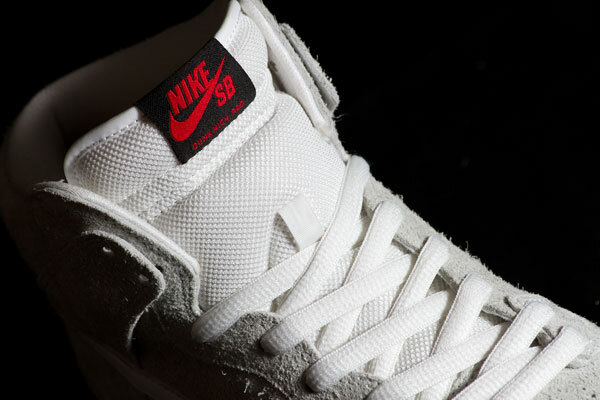 A white tongue and white leather Nike Swoosh continue the clean, tonal look while adding just the right amount of material contrast. 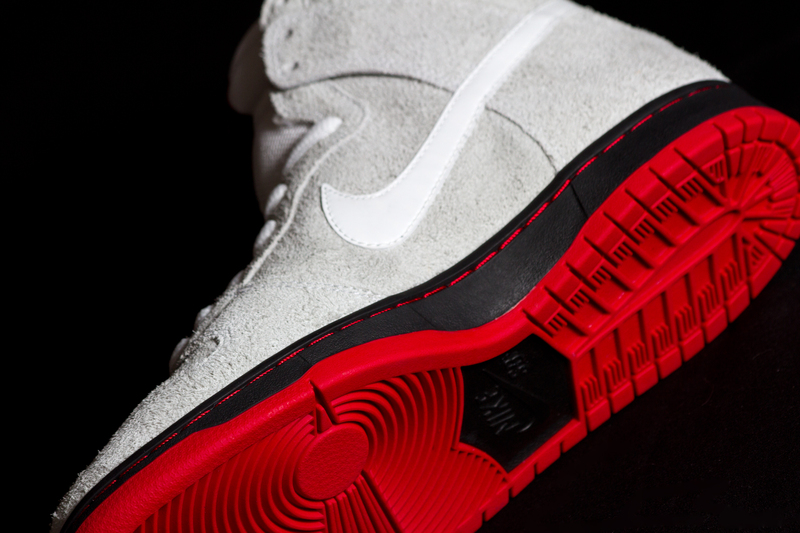 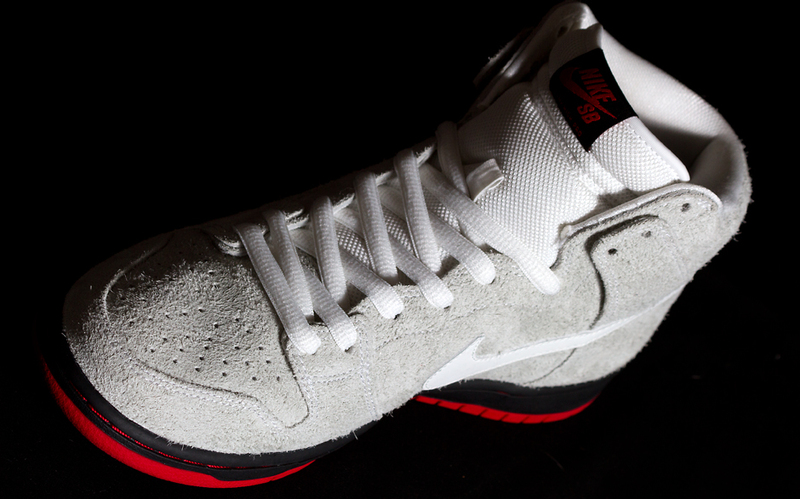 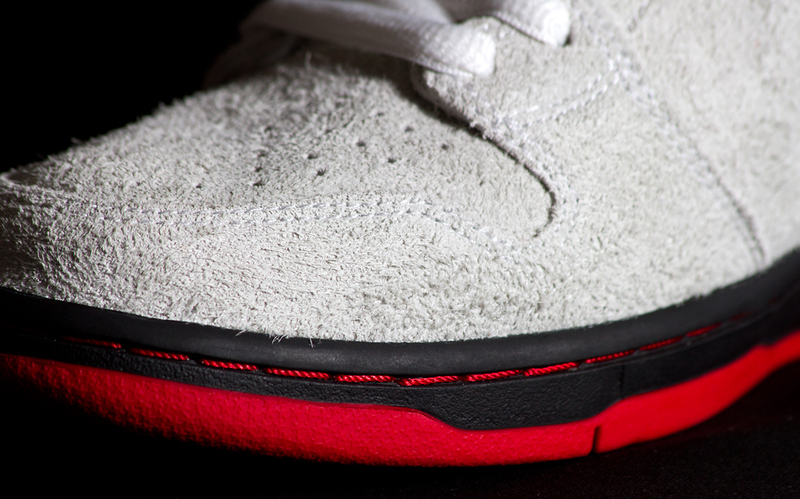 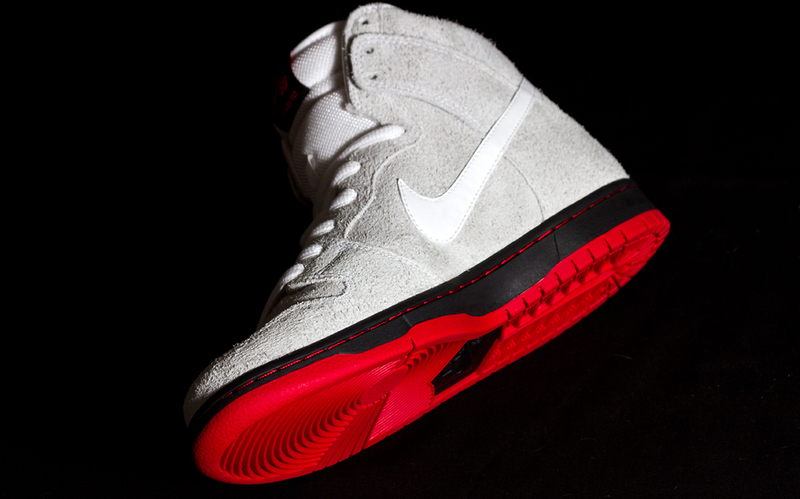 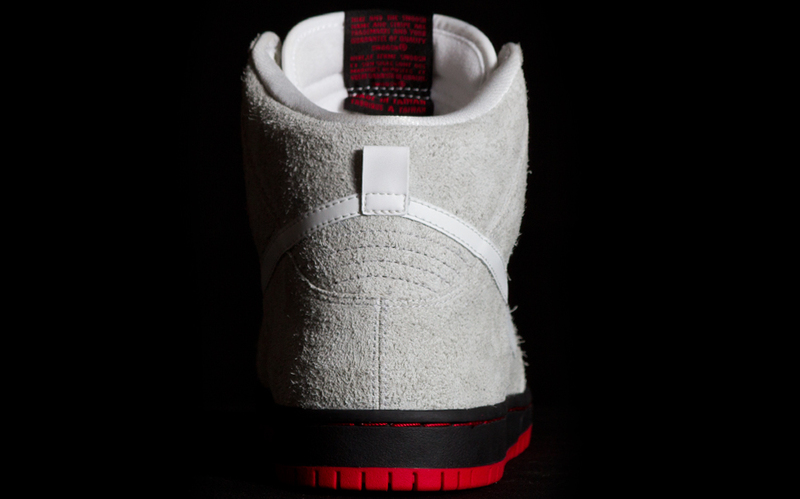 The stark white upper is offset by a blacked out midsole, with an eye catching red contrast stitching and outsole. 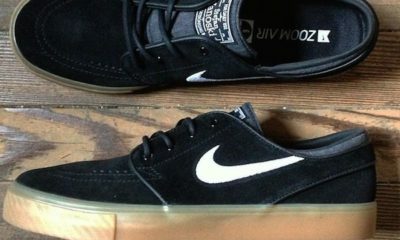 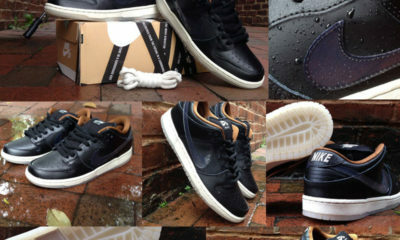 Black and red Nike labeling on the tongue complete the classic look. 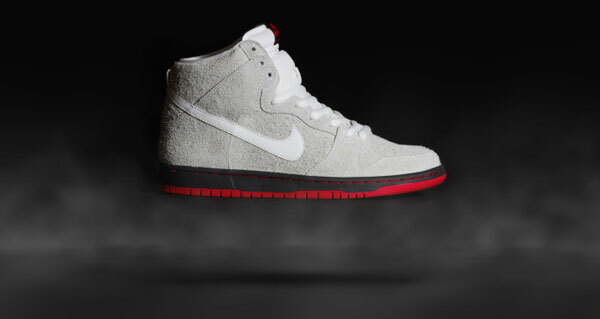 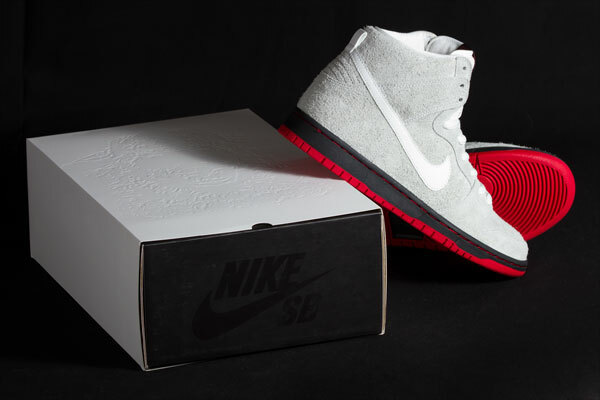 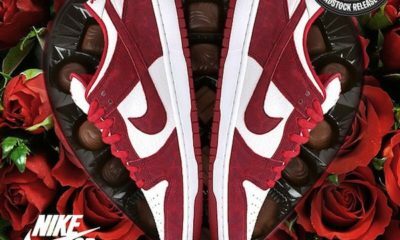 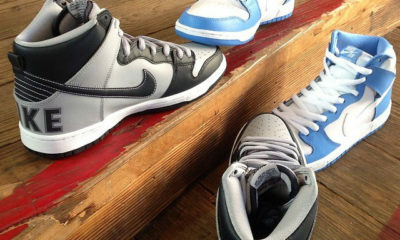 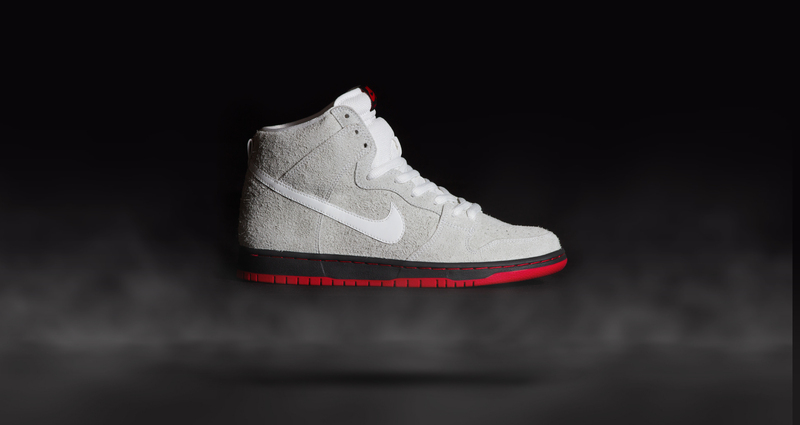 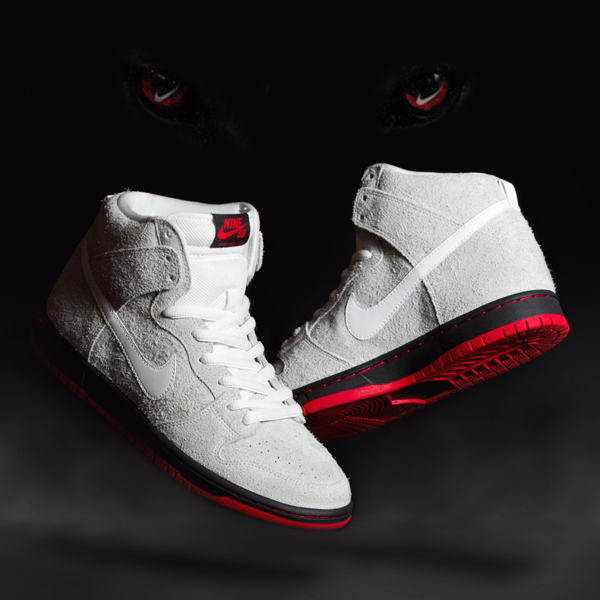 The “Wolf in Sheep’s Clothing” Dunk High might appear tame at first glance; however, don’t let the mild, “sheepish” exterior fool you. 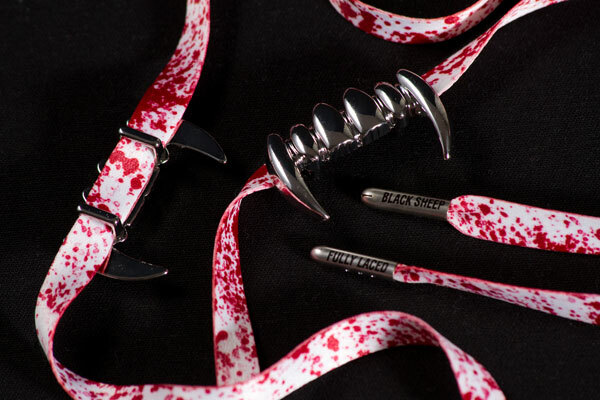 Dig a little deeper and some dangerous, hidden details begin to emerge. 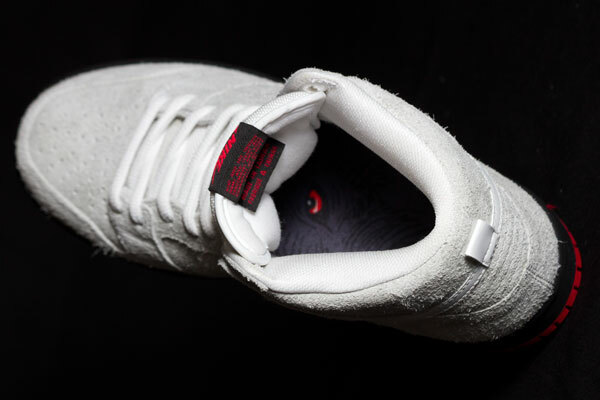 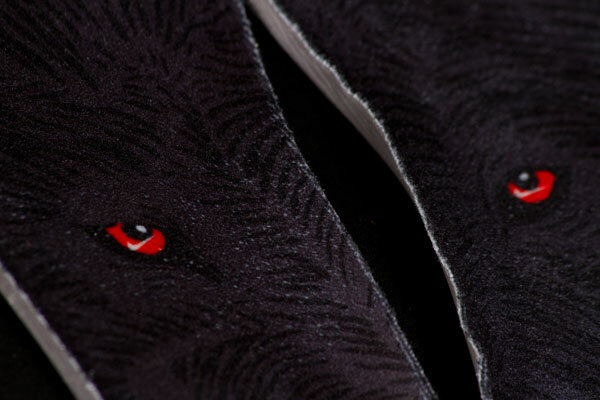 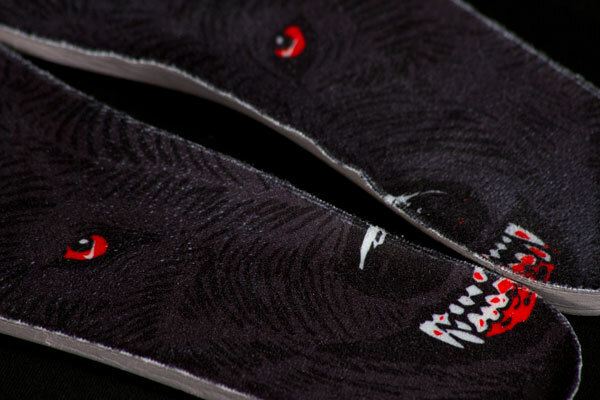 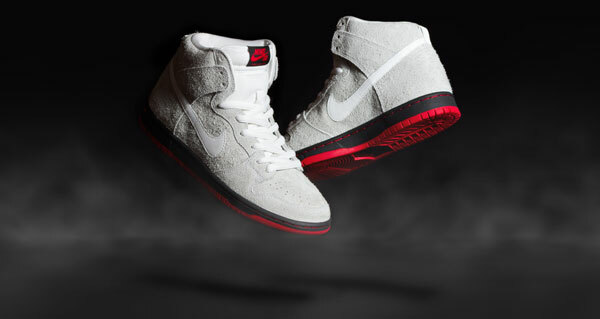 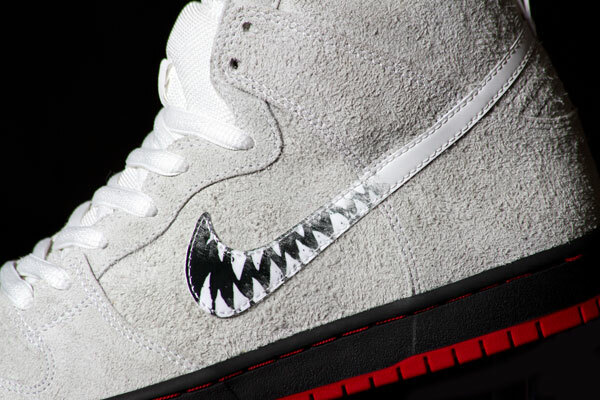 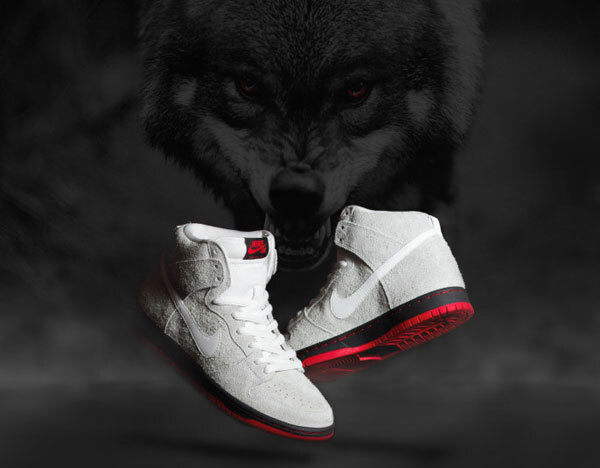 Most notably, the shoes feature a white “scratch off” Swoosh that is designed to rub away with skating or wear to reveal a hidden graphic of menacing wolf fangs. 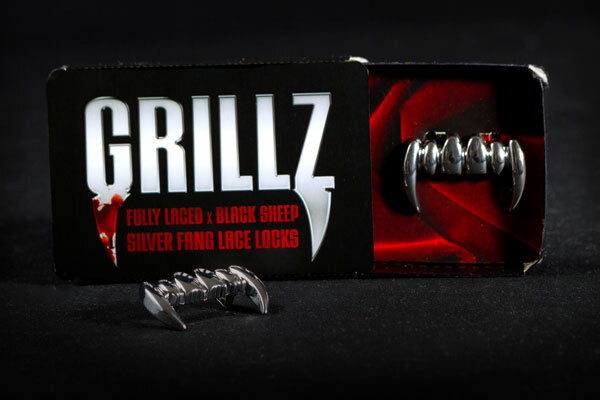 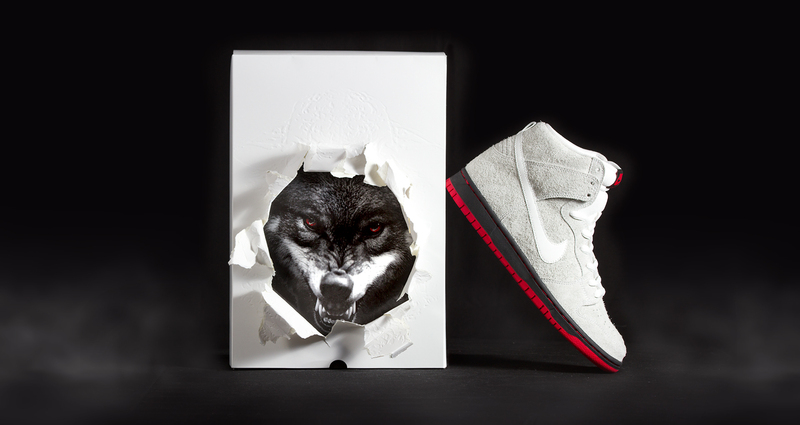 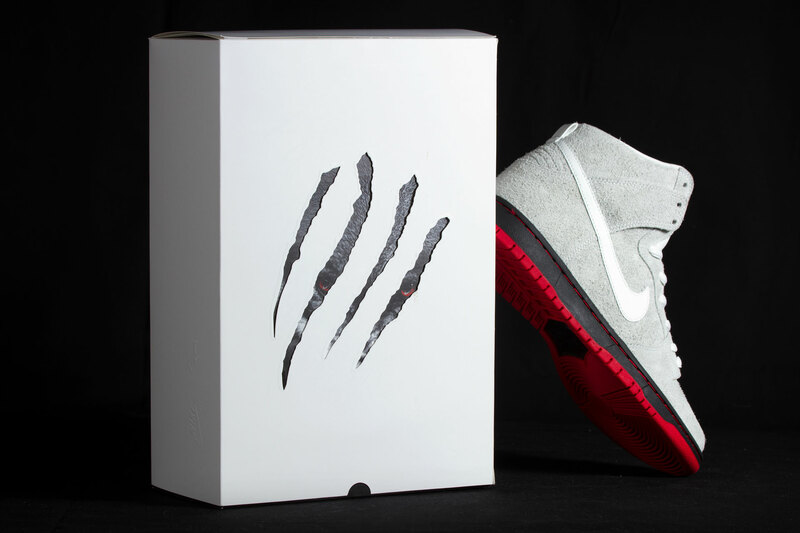 Additionally, the footbeds feature custom artwork of a snarling wolf with bloody fangs and red eyes peering out from inside the shoes. 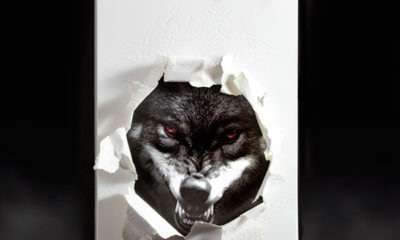 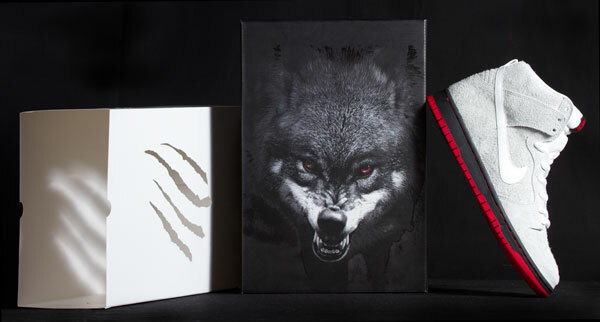 A limited edition “WOLF PACK” Deluxe Edition will be available exclusively from Black Sheep. 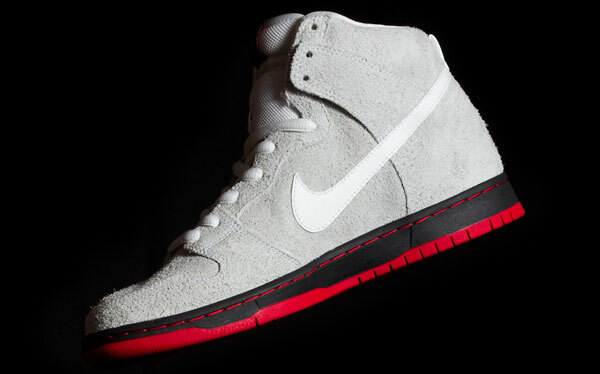 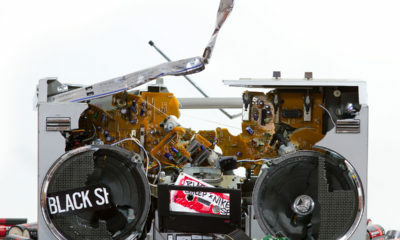 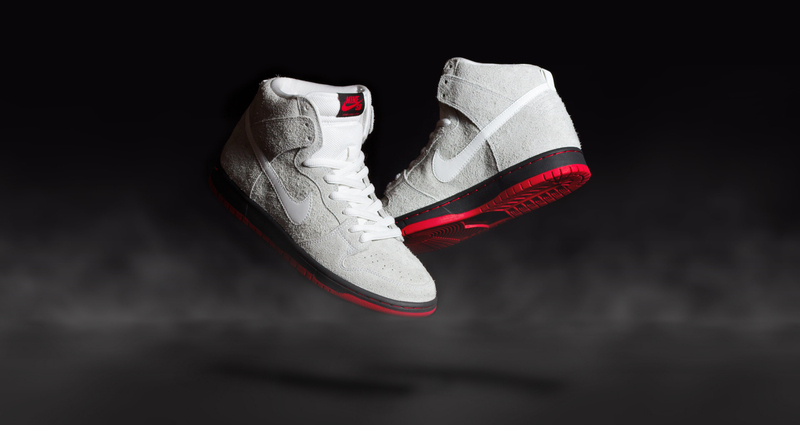 The Deluxe Edition incorporates a variety of accessories for Sneaker enthusiasts and collectors, including: printed, woven dust bag; assorted custom Nike SB icon stickers with graphic fill; keychain; Fully Laced x Black Sheep silver fang “dubre” lace locks and matching “Blood Bag” Silver Tip Laces 3-Pack. See Packaging Overview Details. 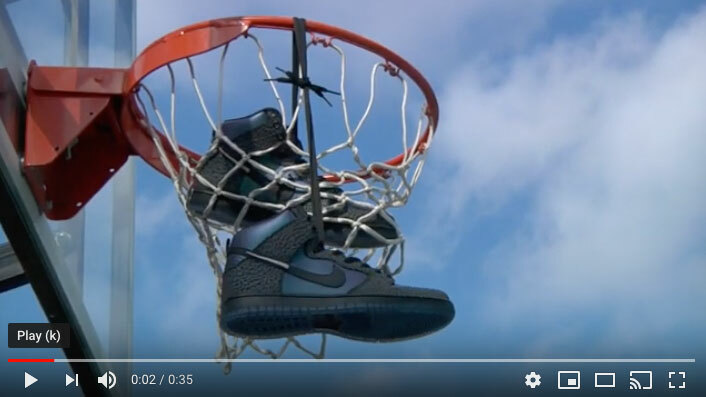 The Deluxe Edition shoe box is also the first of its kind to utilize an Augmented Reality app, available for free download, that allows users to view special interactive audio and video content when the shoe box is scanned with a mobile device. 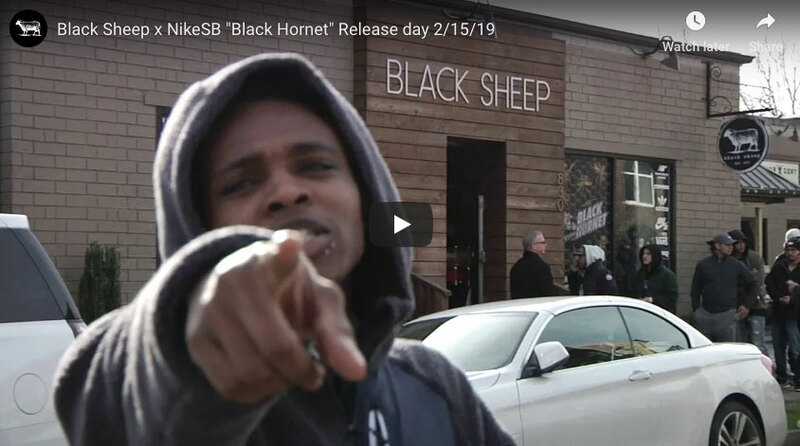 Special “Wolf in Sheep’s Clothing” content including animation of the Wolf face graphic moving and audio of it growling as well as popup videos of the teaser commercial and skate clips in the shoe are viewable via the special interactive box top and bottom. 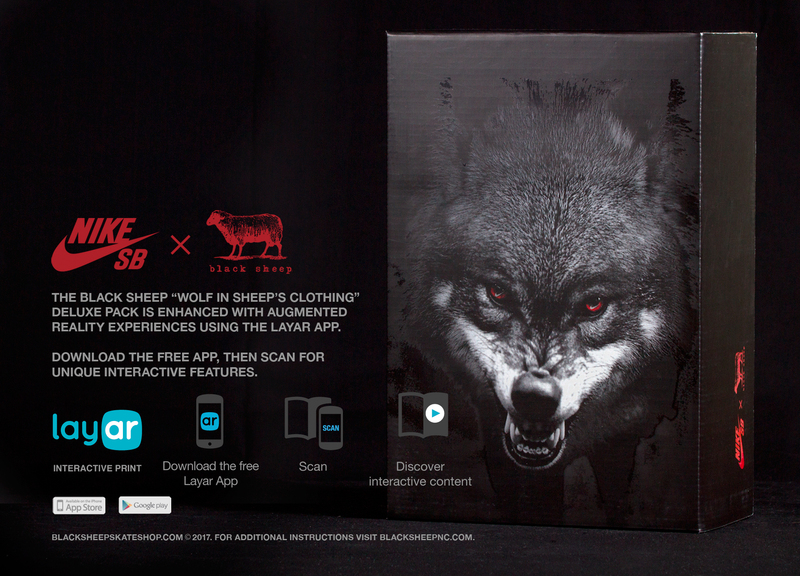 A link to an audio mixtape and additional special features will also be accessible by scanning the packaging as well. 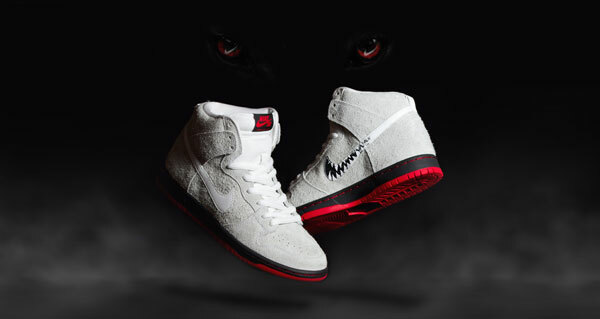 The Black Sheep x Nike SB “Wolf in Sheep’s Clothing” Shoe and Limited Edition “WOLF PACK” will be available exclusively at Black Sheep’s Charlotte, NC flagship location and online from the retailer at www.BlackSheepSkateShop.com on Saturday, January 7th.